It’s time again to highlight another great venue in the Charlotte area! Here at Magnificent Moments Weddings, we love nothing more than sharing these great venues and the people who work at these locations with you, our clients. This week’s spotlight is on Morning Glory Farm and the many features it has to offer! 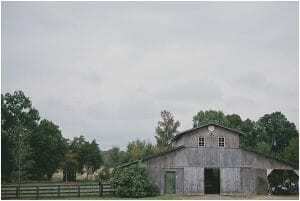 Morning Glory Farm is a full functioning farm, located in Union County, North Carolina. It is also the home to a truly stunning wedding venue. Winding stone pathways, landscaped gardens, and an Italian farm house create the perfect backdrop for a romantic outdoor affair. Sound pretty amazing? We haven’t even mentioned the amazing people at Morning Glory Farm who settle for nothing less than perfection. We love the people so much, we thought it would be great to introduce them to you! So we sat down with Maggie, who gave us all the details on this great location. How many weddings do you host per year? We usually host around 45 to 50 a year. We are closed mid November and open back up the 1st of April. What are some of you favorite different things you have seen couples do? That’s tough! We do see a lot of things out here! I really love when our couples just go for really simple set ups. When they don’t necessarily bring in a ton of stuff and they really on the beauty of the outdoors. I really love it when they do garland on the tent top, I think that is just a great inexpensive way to make a big difference in the space. But I also think a majority of our brides use a backdrop at the ceremony space. And my favorite backdrop that I have seen is when a bride had a semi circle of flowers on the ground, it was so beautiful! What is your favorite part of working in the wedding industry? I love getting to work with families, it’s going to be their most important day and being a part of that is great. Plus I like to see from the different perspectives, the bride’s, the dad’s, etc.. And anyone whos is close to the couple and how they fit into the picture. You get to see everybody’s emotional connection to the wedding not just the couples which is always really fun. I think sometimes we view it as a couples day but really it is a family and friend day too! What is your best piece of advice to a newly engaged couple? I always tell my couples to enjoy the wedding planning season, because as much as it is stressful, it’s the only time you can taste cake for free, so take full advantage! I always tell my couples to take things step by step. In the planning process you can get really overwhelmed, so tell them to break it into three segments. First, focus on the big aspects of the wedding that are really important to you, whether that’s the venue, catering, or photography. If you nail those down then you can take a breather from planning for a little bit and enjoy all those fun things. 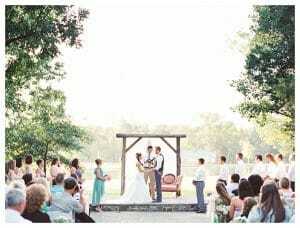 Then you can come back and focus on how you want the wedding to look and feel. Plan things like the flowers you want and all those more detail oriented things. Finally, you can focus on the logistics, like guests seating. I feel like when you break it up into those three segments it is really really helpful for you to not feel so overwhelmed. 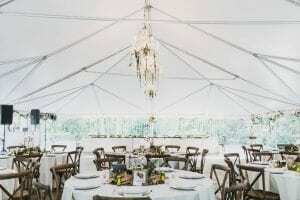 Need more great tips on all things wedding in the Charlotte area! Contact Magnificent Moments Weddings, we would love to share our experiences with you and help make your wedding dreams come true!